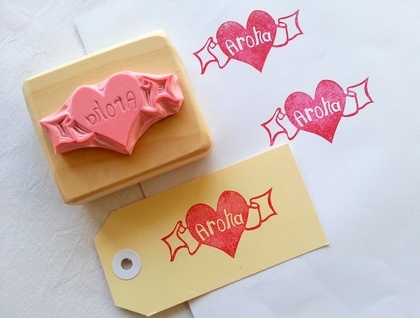 "Love is all we need...................." This hand carved "Aroha" stamp is my own design and measures approx 3.2cm high x 6cm long. 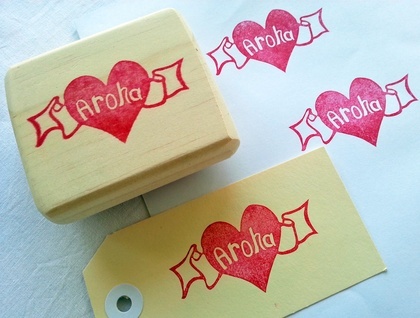 It has been mounted onto a wooden block (also cut and sanded by me) to make stamping easier. 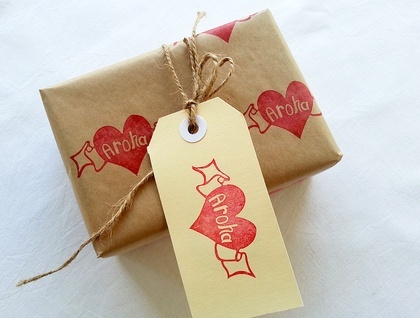 Time to get a little love in your lives! 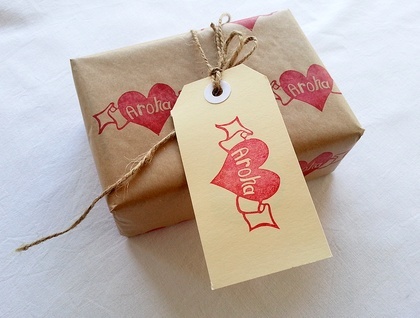 Great for invites, gift tags, even wedding favours or anything else you may like to stamp!